The real star of lunch at Babbo is the dessert. Even Liz stuck around for a couple extra minutes so she could have a bite or two or three before dashing headlong out the door for a meeting uptown. 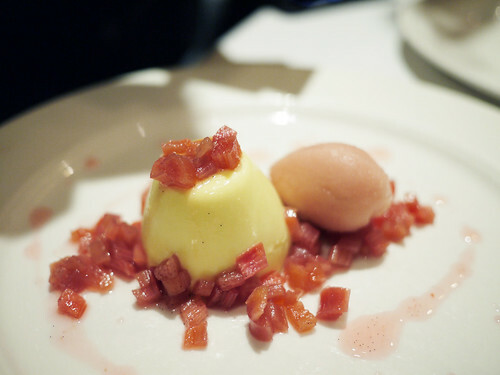 We completely adored the panna cotta at first but then a couple bites into the semifreddo it was clear we could never choose which was the better.